Alexander Kohnen has been appointed new Director Strategy and Sales of time:matters, taking on his new assignment in mid-November. 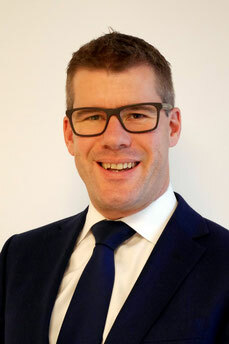 He will head the provider of special speed logistics as well as time-critical shipments together with Christian Moertl, who was appointed Managing Director of Operations & Finance at time:matters as of 1 August. Both Kohnen and Moertl jointly replace t:m founder and former MD Franz-Joseph Miller who left the Lufthansa Cargo Group member on his own request at the end of June after 16 long years in his role as helmsman. Under FJ’s stewardship, the company captured a significant market share in the segment of speed logistics and same day delivery. Meanwhile, time:matters is a European market leader in same day services, spare-part logistics and tailored high-speed transport solutions, including hand-carriage of extremely urgent items by on-board couriers on a global basis. Main customers are forwarding agents, but also members of the aviation and aerospace industry, life & healthcare companies, automobile producers, or the machinery sector. "Alexander knows the industry inside out and has everything it takes to further establish time:matters as the leading specialist for same day delivery and emergency logistics," commented Alexis von Hoensbroech, Board Member Product & Sales at LH Cargo. In future, it will be both Kohnen’s and Moertl’s responsibility to drive the business further ahead and continue the specialist’s strategy to expand its service portfolio and global reach. Kohnen, who joined LH Cargo in October 2000, has practically spent his entire professional career within the freight airline. 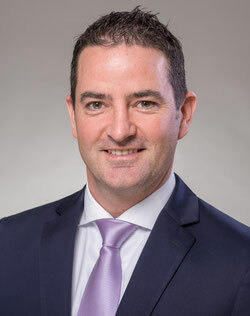 Since then, he has held various management positions within the company, most recently as Head of Industry Development & Product Management at the carrier’s Frankfurt headquarters and previously as Director Nordic and Baltic Countries, based in Stockholm, Sweden. It was in Scandinavia that he got to know the oil and gas industry sector well and played an important role in setting up the Lufthansa Cargo freighter operation into Oslo. This operation with a B777F was mainly geared towards the uplift of oil and gas machinery between the United States and Oslo. Alex Kohnen became a well-known and well-liked person in the air freight scene in Scandinavia and often took part as a speaker at conferences in the area. time:matters which was founded in 2002 has made itself a name as service provider of tailored same day deliveries and ultra-rapid transports. Also on-board-courier services, called t:m Airmates, have meanwhile become a rapidly growing segment. In fiscal 2016, t:m turned over €70 million. In order to get goods as quickly as possible from origin to destination, time:matters utilizes the transport capacity of dozens of airlines. In addition, the Neu Isenburg near Frankfurt-based company operates a network of scheduled night flights across Europe, delivering urgently needed industrial supplies or spare parts to clients in Scandinavia, Italy, the UK and some other countries. In addition to utilizing the lower deck capacity of many carriers, t:m operates own night flights with chartered aircraft within Europe. This way delivering urgently needed industrial supplies or spare parts to clients in Scandinavia, Italy, the UK and some other countries. Due to the ongoing business expansion, the staff has meanwhile grown to more than 200. A remarkable development, since at the start in 2002 only four employees, among them former MD Franz-Joseph Miller, stood on the company’s payroll. Further to this, Lufthansa Cargo announced two other personnel changes. Thomas Rohrmeier, former Regional Director The Netherlands / Luxembourg has been nominated Director Northeast USA. He replaces Alexander Karst who returns to Frankfurt, becoming Senior Director Sales Germany of Lufthansa Group Airlines.